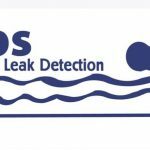 Contact NPS Leak Detection for your problems with all types of swimming pools. Residential and commercial, vinyl liner, concrete or fiberglass. This entry was posted in Concrete pool, How to find a swimming pool leak, Leak Detection, Leaking Swimming Pool, Pool inspection, Pressure Testing, Structure Inspection/Repair, swimming pool leak, Swimming Pool Leak Detection, Vinyl Liner Repair and tagged Swimming pool leak, swimming pool leak detection, Swimming pool service, Swimming pool service Greensboro, swimming pool service Winston-Salem. Bookmark the permalink.